Nowoczesny podręcznik przeznaczony w szczególności dla prawników, studentów prawa, tłumaczy, jak również wszystkich zainteresowanych rozwojem umiejętności oraz kompetencji zawodowych w zakresie angielskiego języka prawniczego. Książka przeznaczona jest dla prawników oraz studentów prawa, którym potrzebna jest znajomość specjalistycznego prawniczego języka angielskiego. Publikacja oparta jest na nowoczesnych metodach nauczania języków obcych. 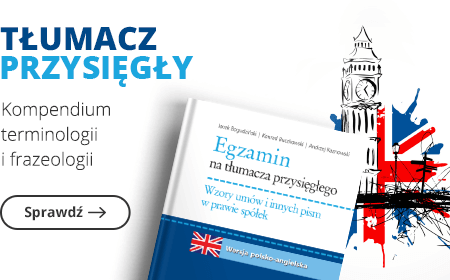 Może być pomocna w przygotowaniach do zdawania egzaminów TOLES oraz ILEC. English is the dominant language of the international legal practice and corporate business world. Therefore, its importance cannot be underestimated and that is why the need to learn in particular the specialised legal English has been growing for the past few years. However, the language of law is much different from the every-day language irrespective of the country. What’s more, the legal concepts vary from country to country and therefore it may lead to many misunderstandings and linguistic problems which puzzle the learners. I have written this book to assist practicing lawyers, students of law, translators as well as anyone interested in law who wish to develop their English language skills within a legal context (both for academic and vocational training purposes). Therefore this book is intended to help understand the legal terminology and phrases as well as some major differences between both systems. Moreover, it provides the users with a chance to practice communication skills in spoken and written legal English to enable them to read and draft legal text, discuss and explain legal concepts and so to operate with confidence within the business, especially corporate, and legal environment. 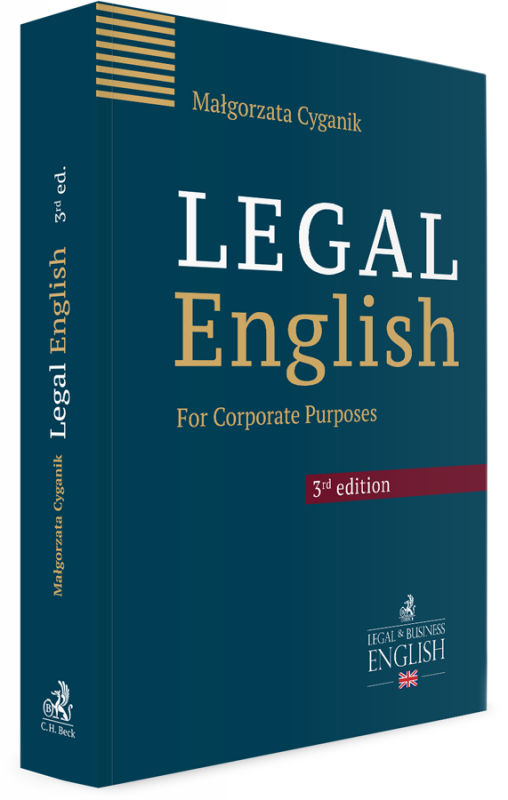 The book is composed of 14 units – each unit discusses a different aspect of corporate law through introduction of relevant terminology, presentation of adequate texts, real court cases as well as numerous exercises which encourage the learner to put the newly acquired vocabulary into practice both through oral as well as written expression. Competence is developed throughout this book in a sequence of ascending complexity.